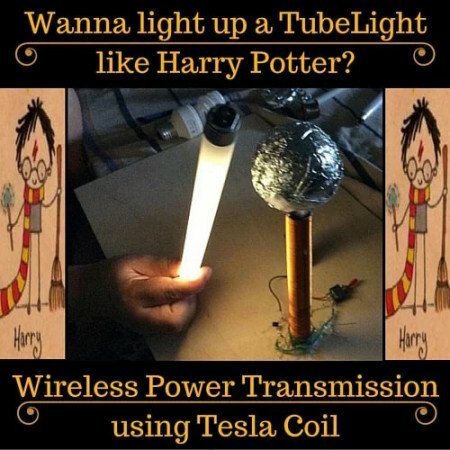 Make a wireless power transmission system using a homemade Tesla coil. Hello all! How many auto mechanics does it take to change a light bulb? Answer: Two. One to screw in all the bulbs he has until he finds one that fits, and another to tell you he thinks he'll have to replace the whole socket. 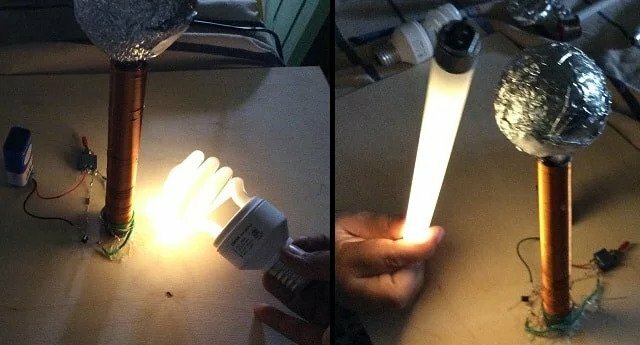 Jokes aside, light bulbs don't even need a socket to work. Don't believe me? 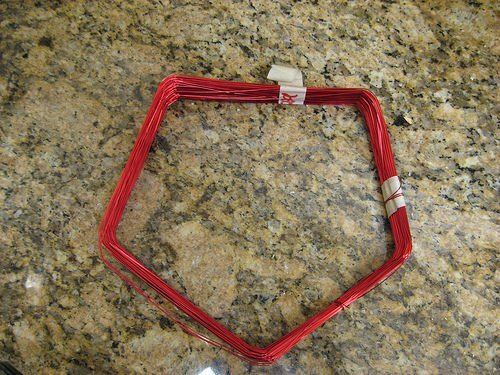 Once you have followed this article to make your own wireless power transmission system, you will. 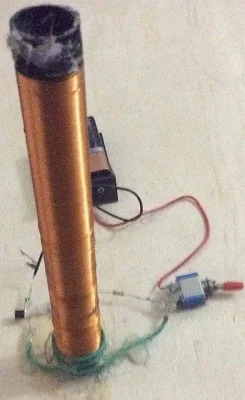 In this tutorial, you will learn all the parts you need and how to put them together to make a small Tesla Coil. A Tesla Coil is a device that creates a high voltage electric field in the air around it when a small input power is provided and allows for wireless power transmission. How Does the Tesla Coil Work? The power of the Tesla coil lies in a process called electromagnetic induction, i.e., a changing magnetic field creates an electric potential that compels current to flow. Conversely, the flowing electric current generates a magnetic field. 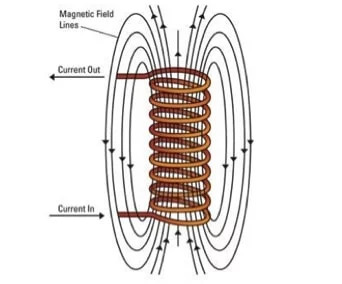 When electricity flows through a wound up coil of wire, it generates a magnetic field that fills the area around the coil in a particular pattern, shown by the lines in the above picture. 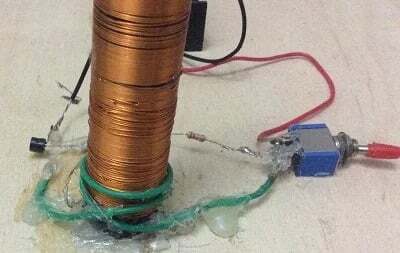 Unlike some other high voltage experiments, a Tesla coil’s streamers can be very harmful. learned this the hard way. If you are shocked by the streamers, you will not feel pain, but your circulatory and nervous system can sustain severe damage. DO NOT TOUCH IT WHILE IT IS ON UNDER ANY CIRCUMSTANCES. We are not responsible for any property damage or injuries incurred if you attempt this project. Step 1: Wind the Secondary First, Then the Primary! Put a small slot into the top of the pipe to wrap one end of the wire around. Slowly and carefully, begin to wrap the coil, making sure that you don’t overlap wires or have spaces. This step is the hardest and most tedious part, but taking a lot of time will yield a very nice coil. Every 20 or so turns, put a ring of masking tape around the coil to act as a barrier if the coil starts to unravel. Once finished, wrap a tight piece of tape around the top and bottom of the coil and spray it with 2 or 3 coats of enamel. 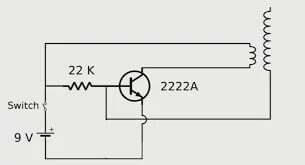 Connect the primary and secondary to the battery and switch through the transistor and resistor as shown in the circuit diagram. The smaller winding in the diagram is the primary and the longer winding is the secondary. You can additionally add an aluminum sphere on top of the pipe and connect the open end of the secondary to it, which will act as an antenna. Be very careful not to touch the secondary while the power is switched ON. Bring your Tesla Coil outside for its first run, as it really isn't safe to run anything this potentially powerful indoors. Be careful, there is a risk of fire. Flip the switch, bring a tube light or a CFL bulb near your wireless power transmission device and enjoy the light show!